How Egypt and India are Threatening The Future of Facebook? As you may know, Facebook exists and grows because of the ads they run on the right side bar. When people click on those ads, the advertisers pay Facebook per each click (or 'Like'). 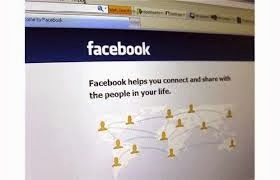 You might also heard of 'Click Farms', where some small companies or individuals charge a facebook page a small amount of money to send them 'Fake' visits and Likes. Simply, how these Click Farms work is by hiring people in developing countries like Egypt, India, Indonesia, etc. to Like advertised pages with fake accounts. What about Legitimate clicks on Facebook Ads? Even legitimate clicks on Facebook Ads could also generate Fake likes from fake FB accounts because click farmers sometimes click "Randomly" on ads to avoid being suspicious and caught by Facebook Quality Assurance team. That is what Veritasium, a famous YouTube Channel, tried to proof in a video last week. They ran a nice experiment to proof that even paid ads generate fake likes. Although the experiment looks interesting, but I do not think it is accurate. I myself tried to run a Facebook Campaign before for a Saudi Arabian Social Activist page to get him many likes for his Facebook Statuses and shared articles but I could not get any clicks although the bidding was set to be too high and the impressions were in thousands. But No Clicks! because the ads were too serious and very restrictive. Plus, what makes me believe that the above experiment is not accurate is that how come a Targeted campaign limiting the ad view to the US and Canada get clicks from Egypt? It is technically impossible unless the Click Farmers are using proxies to click on ads targeting Canada, but do they? Why Would Such a problem threaten Facebook? As I said before, Facebook's revenue is coming from Pay per Click Advertising. So, if Facebook is taking money for Fake clicks, and it was proven, Advertisers will stop advertising with the Facebook model provided that they won't sue the company for the thousands they previously paid in vain. The US State Department paid 650,000 dollars on Facebook Ads and got less than 2% engagement. Although Click Farms are getting more and more popular and they sometimes click on Facebook Ads, I believe that a company as big as Facebook knows very well how to avoid such invalid clicks, because without Strict Quality Assurance, the will be history.